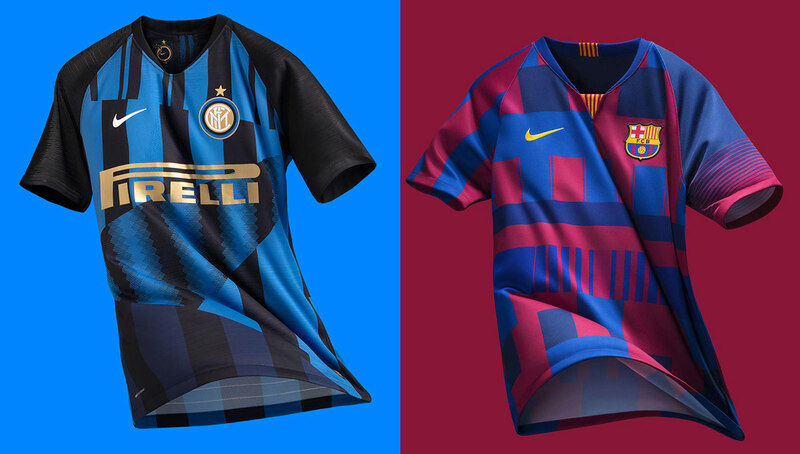 To commemorate 20 years with both Inter Milan and FC Barcelona, Nike released similar mashup kits celebrating each club’s history with the Swoosh. Always in the spirit of competition, we had to compare each and decide which one was best. It has been 20 years since Nike became the official athletic company for FC Internazionale Milano. 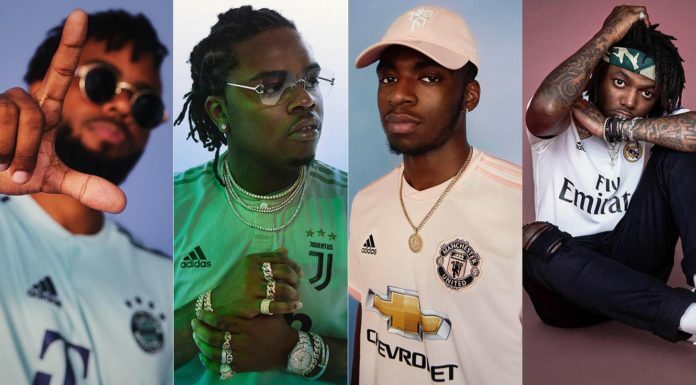 To commemorate two decades of teamwork, Nike released a special-edition mashup kit celebrating the various designs they have created for the Italian giants. The mainstay Pirelli logo is prominently displayed in a soft gold color while the Inter Milan crest sits comfortably familiar at the top left of the jersey. The overall design features the various stripes from the different kits running up and down the shirt, including the recognizable snakeskin pattern from the 2010-2011 season and the pinstripes from 2014-2015 season. Pete Hoppins, Nike Football Apparel Senior Design Director, explained in a press release the process of combining 20 years of designs into one mashup kit. When Nike first teamed up with Inter Milan for the 1998-1999 season, the side was capturing international attention. Brazilian sensation Ronaldo was their star striker who scored 59 goals in his five seasons with the club. Other memorable years include the 2009-2010 season, which was particularly special as the team won the treble, earning trophies for Serie A, Champions League and Coppo Italia. 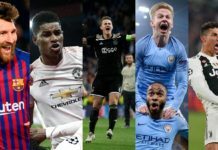 The side was led by Jose Mourinho and featured key players like Argentinian Diego Milito (who scored 30 goals on the season), Colombian Ivan Cordoba and Cameroonian Samuel Eto’o. The roster exemplified Inter Milan’s namesake international spirit, one of the reasons they broke away from AC Milan in 1908. And, of course, the team’s captain during its reign was the one and only Javier Zanetti. The Argentinian spent 19 years with Inter, 15 of those at the helm as he wowed the world with his effortless style of play and humble nature — not to mention his always perfectly coiffed hair. After his retirement in 2014, Inter Milan retired his No. 4. 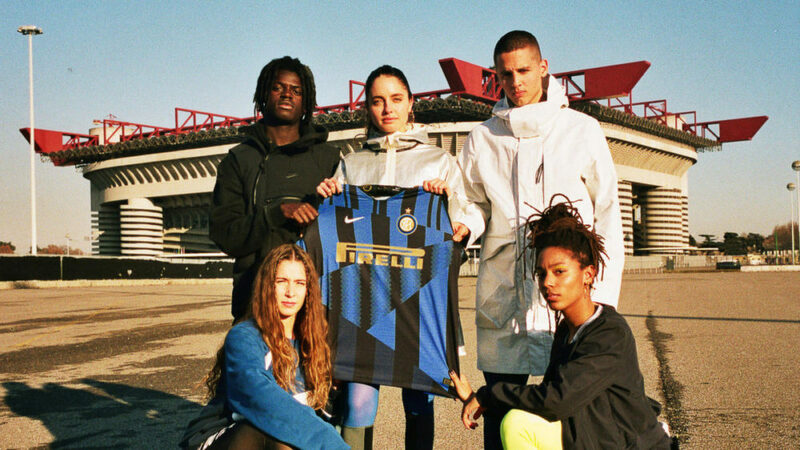 The 20th anniversary mashup kit will be worn on the pitch by Inter Milan in the fierce Milan derby on March 17 and will be available for purchase starting March 9 on Nike’s website. Only 1,908 kits will be sold to commemorate the club’s founding year. But how does this kit compare to Nike’s mashup kit honoring 20 years with FC Barcelona? 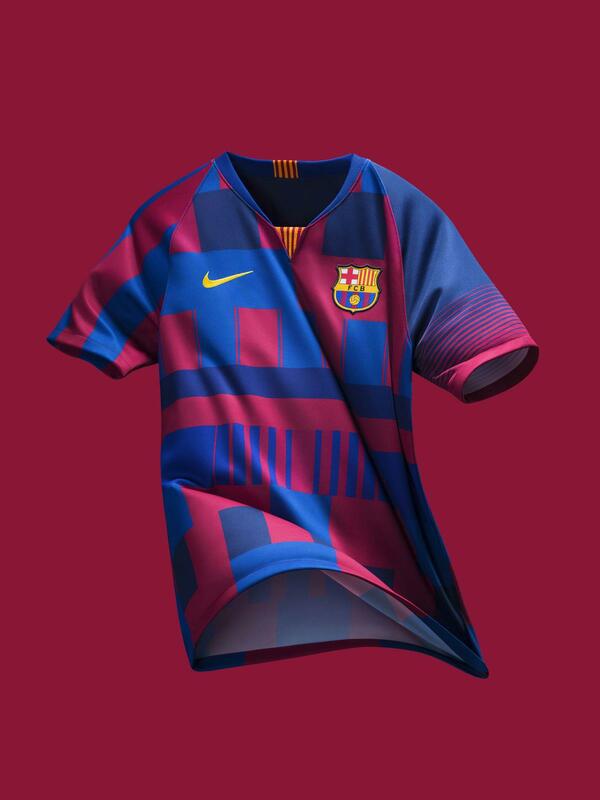 The jersey dropped last year and, like the Inter Milan collab, incorporates the many styles of stripes that Barça has sported over two decades. The 10 main stripes represent the districts of the city and follows the club’s “Ball Makes Us More” campaign, emphasizing the importance of community. Unlike Inter Milan’s kit, Barca’s doesn’t have a sponsor logo, which makes sense considering throughout the 20 years, the club had multiple sponsors including Unicef, Qatar Airways and Rakuten. Although Barcelona has more trophies on their mantle, we have to say that Inter Milan wins the battle of the mashup kits. The blue is easier on the eyes and the stripes are less clashing than the staggered ones of Barça. It has more of an effortless feel and overall captures more of the history of the various designs. Perhaps that means Inter Milan had more of a distinct design identity as they weren’t playing with different collars and sponsors. And, unlike Inter Milan, Barça didn’t actually play in the kit. So what’s the fun in that? Which Nike mashup kit do you like better? Let us know in the comments below!